Whilst everyone else has hung their boots up for a rest before pre-season, our last game of 2016/17 sees us take on Arsenal at Wembley for the FA Cup final. Neither of us are strangers to Wembley or FA Cup finals, although Arsenal are streets ahead with 12 FA Cups won ahead of today and a win would take them ahead of United in terms of FA Cups in their cabinet. I’m sure they’d rather have old big ears in there like the rest of us, but that won’t be happening unless they get themselves back into the Champions League again. Anyway, onto the game and in spite of Arsenal’s history in the FA Cup, we seem to be going into it as favourites. Of course, that’ll be because Antonio Conte’s change of formation saw us get our act together after Arsenal had pulled our pants down in the league. In fact, we got it together so well, tucked the title away with breathing space. It’s worth noting though, that Arsenal have also won eight of nine games since replicating that change and despite all the noise about injuries upsetting that balance, I suspect Arsene will be feeling quietly confident coming into this game. For Conte, this is his first FA Cup final and unlike the league, this is often anyone’s game. Going into today’s game, Chelsea boss Antonio Conte says of his opposing manager today “When you stay for a long time at the same team – we’re talking about a great team, not a small team – we must consider him like one of the best managers in history. He won a lot. When you stay a lot for a long time in the same team, someone can forget this. But Arsene Wenger is, for sure, a really good manager for me. For Chelsea, there’s no injury worries so Conte can take his pick of the crop. For Arsenal, Gabriel is injured, whilst Kieran Gibbs (thigh) and Shkodran Mustafi (concussion) are doubtful and Laurent Koscielny is suspended, Alexis Sanchez and Alex Oxlade-Chamberlain should both be fit and Per Mertesacker could start. ~ Arsenal have won seven of the last eight FA Cup ties between these sides. ~ Arsenal are playing in a record 20th FA Cup final. ~ Arsenal are currently level with Manchester United on 12 FA Cup wins. ~ Victory would be Wenger’s 10th major Arsenal honour – he has won six FA Cups and three league titles. ~ Arsenal have won the trophy in their last five FA Cup final appearances, and in seven of their last eight. ~ The Gunners are unbeaten in their last seven matches at Wembley Stadium, with six wins and a penalty shoot-out victory against Wigan. 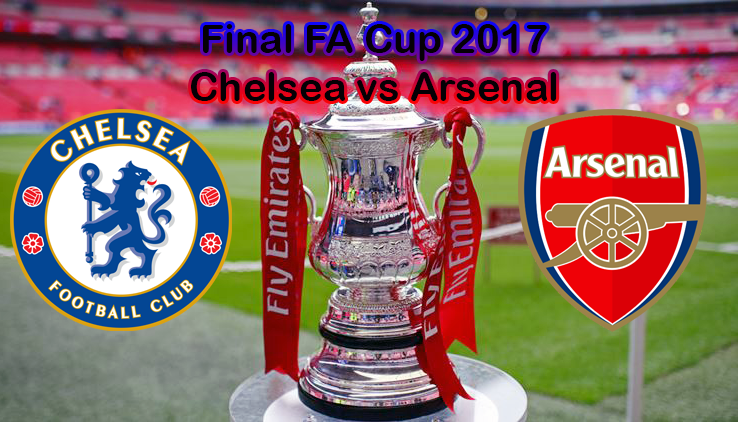 ~ This will be Chelsea’s seventh FA Cup final this century – a joint-high with Arsenal. ~ Chelsea have been victorious in their last four FA Cup final appearances, all by single-goal margins. 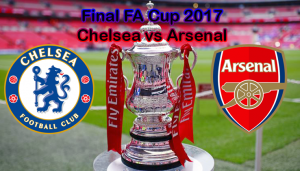 ~ Chelsea’s last FA Cup final defeat was the 2-0 loss to Arsenal in Cardiff in 2002. ~ Overall, Chelsea have won the FA Cup seven times and been runners-up on four occasions.